First of all, let me tell you, I hate sun creams. For me, it is something I have to apply to protect my skin but cannot be bothered too much with. So my ideal solution is to use it once and be protected the whole day. 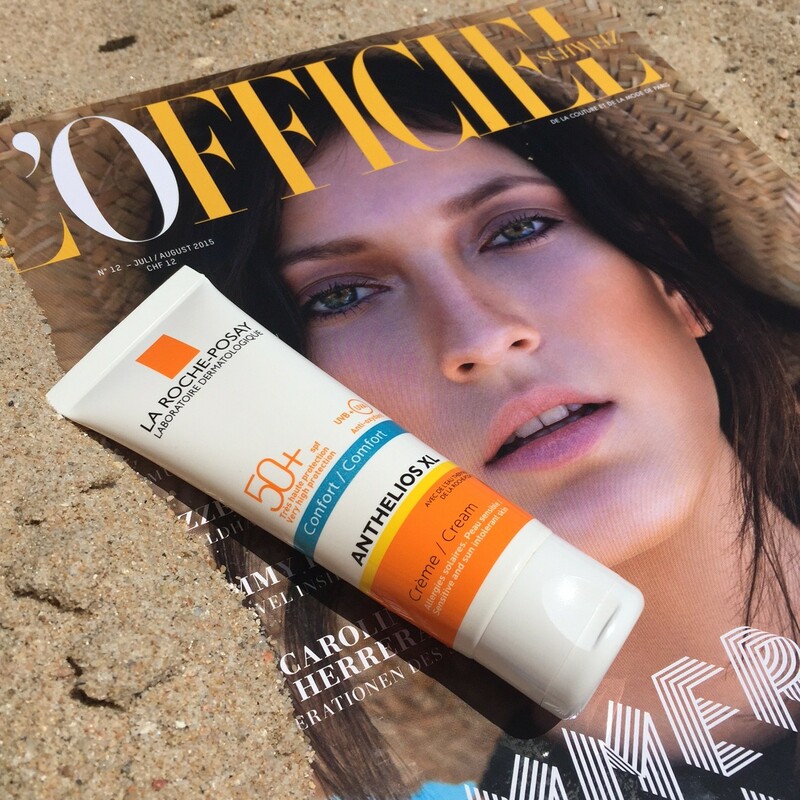 La Roche-Posay ANTHELIOS XL CREAM SPF 50 (50ml, CHF 30.00) has become my favorite. It is perfect for sensitive and sun intolerant skin, very water-resistant and its UVA protection twice stricter than the European recommendation (for sun care) thanks to its patented and photostable filtering system Mexoplex®. Its moisturising velvety texture leaves no white marks and works for the body as well as for the face! The range includes also a BB (50ml, CHF 30.00) and a Blur cream (40ml, CHF 30.00), both with SPF 50. Like this, you can enjoy the sun to the fullest and read our big summer issue of L’Officiel Switzerland that is now at the newsstands nationwide.